Gunnar Nelson Next Fight: UFC 194? Discussion in 'UFC Discussion' started by Bels89, Aug 26, 2015. Nelson said that he wanted to fight on the Dublin card and then the UFC 194 card. Maia dropped out of the fight on the Dublin card and the lineup is final without Gunnar. 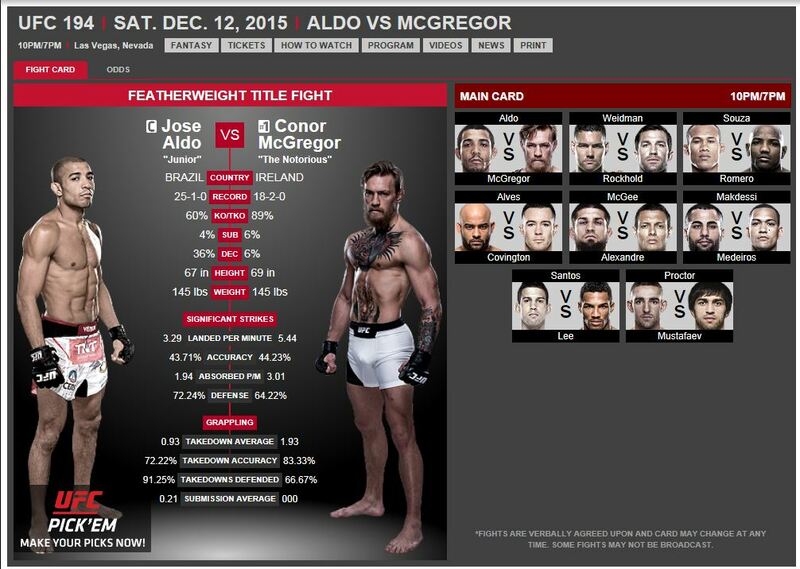 UFC 194 makes the most sense. It has 3 big headliners and then basically good talent for the undercard. I would assume they would need 1, maybe 2 more fights for the main card. 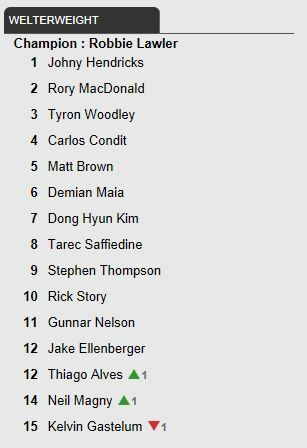 Here are the current UFC rankings: If Maia cant make that fight in December, do you see the UFC realistically setting up Wonderboy vs. Nelson? Only 10 fights have been confirmed for Dublin. 2 more will be added. oh my bad I just assumed it was complete with 10 fights. Aren't some cards final with 10? hopefully nelson vs wonderboy, max vs oliviera 2, or alvarez vs dariush or barbosa. I have a feeling that they might give Gunnar a bit of an easier matchup for Dublin and then have him fight Wonderboy at 194. What about Nelson vs Dong? Would be an interesting grappling match and a sloppy, fun brawling exchange on the feet. Dong is fighting on the Bendo v Alves card against Masvidal. I never saw anything other than wishful matchmaking about a Maia/Nelson bout for Dublin or anywhere else. While a bout with Maia would be a great matchup, I am more intrigued by a potential pairing of Stephen Thompson and Nelson. There has been reports that multiple fighters have turned down fights with Gunnar and there is no one that's wants to fight him on the Dublin Card. Would love to see him in Vegas. And yes, Wonderboy makes perfect sense as an opponent. Itwould have been interesting to see him against Benson or Stun Gun, but they both have fights. Wonderboy, DHK, Maia. Any will do. I think Maia was offered the fight. I stand corrected, thanks for the source. 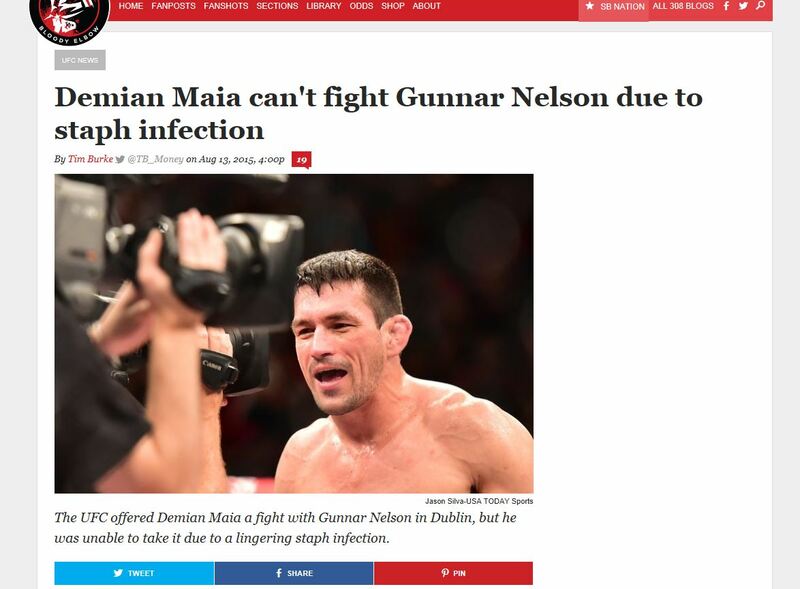 I knew that Maia was currently out due to staph, but did not know he was offered a spot opposite Nelson in Ireland. I hope he does fight wonder boy that would be an amazing fight. Wonder boy trains with Weidman so that would make a lot of sense to have the fight at 194.